SVS Prime Wireless with WiFi/Bluetooth connectivity and smart control can be used alone as a system with bookshelf and floorstanding speakers *OR* as streamer for an existing system. Prime Wireless SoundBase is a dual-function audio component that brings high-resolution wireless audio streaming, advanced connectivity and smart control to conventional speakers or, using its line level output, creates a smart wireless music zone with your AV receiver or two-channel stereo system. Simply connect conventional speakers and they are transformed with high-resolution wireless audio streaming, powerful amplification from the 300-watt amplifier, smart speaker control from your smartphone or mobile device and future-facing WiFi and Bluetooth connectivity. The audiophile-grade technology drives any speakers to perform to their full potential. In its other role, Prime Wireless SoundBase features a line level output that converts any two-channel system or AV receiver into a smart wireless entertainment hub fit for the most discerning audiophiles. Use it to create a separate stereo zone or transform home theater systems by adding advanced connectivity, intuitive smartphone or voice control and wireless access to all your streaming content, all with amazing, reference quality sound. Prime Wireless SoundBase is an amazingly versatile audio component for its impressive array of audiophile-grade technology, future-facing WiFi and Bluetooth connectivity, intelligent user interface and massive power that drives any speakers to their full potential, all controlled from your smartphone or mobile device. Simply connect speakers to the Prime Wireless SoundBase and it delivers a commanding 300 watts (150 watts x 2) of power while unlocking high-resolution wireless audio streaming from all your favorite music streaming services like Spotify, Pandora, SiriusXM, Amazon Music and more, as well as from your personal playlists and connected devices. Plus, you get advanced control via any iOS, Android or Windows device with the DTS Play-Fi App over WiFi or voice control via Amazon Alexa. Prime Wireless SoundBase also connects to an AV receiver or two-channel stereo system via line level output to provide high-resolution wireless audio streaming, multi-room music playback, mobile app or voice control and more. Create a wireless stereo zone or transform home theater systems by adding advanced connectivity, flexible control, and wireless access to all streaming content. Bring any pair of speakers, AV Receiver or two-channel audio system into the future of great sound by converting it to a smart wireless audio zone and a hub of connectivity for all devices and every way you enjoy music with the SVS Prime Wireless SoundBase. Powerful 300W Class-D amp delivers 150W per channel for effortless power delivery that drives any loudspeaker to its full performance potential. 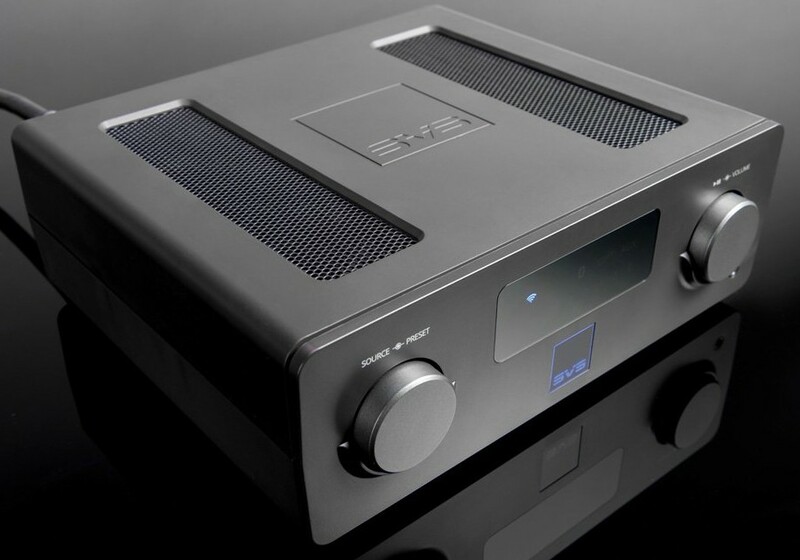 The 192kHz/24-Bit DAC provides pristine sound quality from all sources and maintains complete faithfulness to the source material so music and all audio content sounds precisely as the artist or producer intended whether a user is streaming from Spotify, watching a Blu-Ray, listening to a podcast or anything else. Dual-Band WiFi connectivity offers Uninterrupted Wireless streaming and direct access to all your music. DTS Play-Fi app enables direct connection to Spotify, Pandora, Amazon Music, SiriusXM, Tidal, iHeart Radio and all the top music streaming sources as well as your personal playlists. DTS Play-Fi app control lets you access music streaming services and audio content from any smartphone or tablet via WiFi and distribute it throughout your home. 6 custom presets for instant access via WiFi to your favorite playlists, Internet Radio stations and streaming music services without needing a phone or tablet. 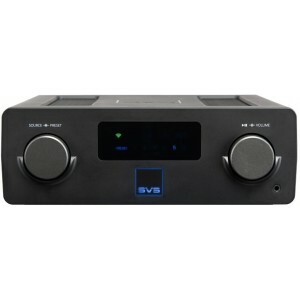 Subwoofer output allows easy connection to your favorite SVS or another brand of subwoofer for deeper, room-energizing bass and a more thrilling and immersive experience. High-res Multiroom Audio plays different music in different rooms or play the same music everywhere using your WiFi network via DTS Play-Fi and control it all from your handheld devices.